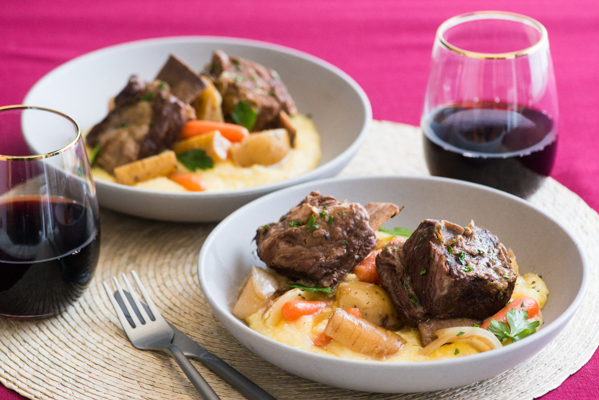 This recipe combines a beer-based broth, herbs, vegetables and short ribs in a KitchenAid® 6-quart slow cooker with a creamy Parmesan polenta on the side. 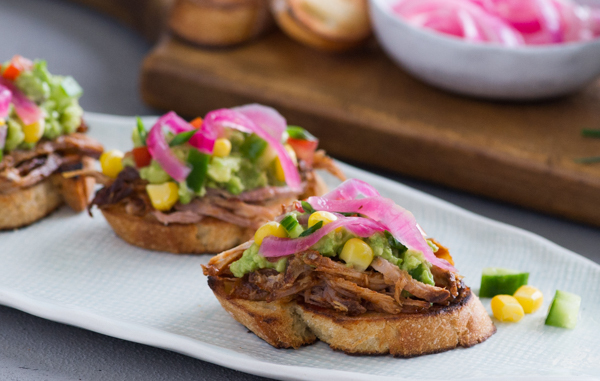 You simply place everything in the slow cooker, let it cook low and slow all day and, when you’re ready for dinner, whip up the polenta and serve. There is something magical about long, slow-cooking when the weather is cold. Braises and stews beckon us and the cuisines of the winter open their treasure chest of recipes. 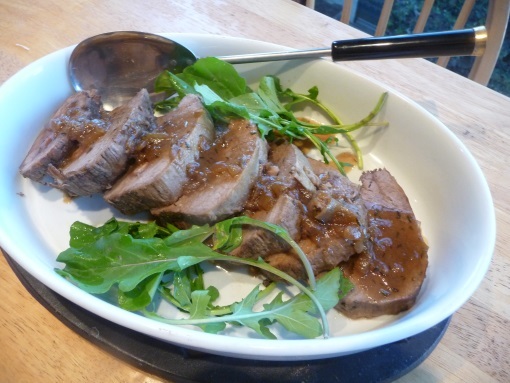 When we think of Italian food we generally don’t think of beef braised in beer. 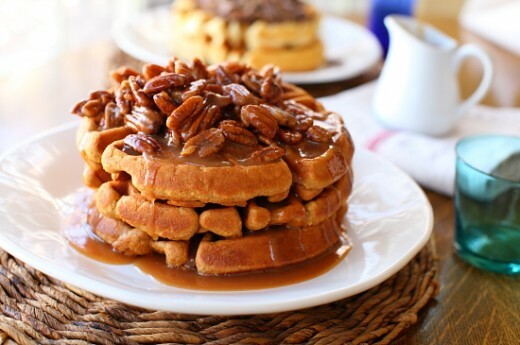 Savory or sweet, waffles are fun for the whole family! This yin and yang take on the breakfast classic includes a sweet version with fresh dulce de leche caramel mixed directly into the waffle batter and a sticky sweet pecan-studded syrup topping. 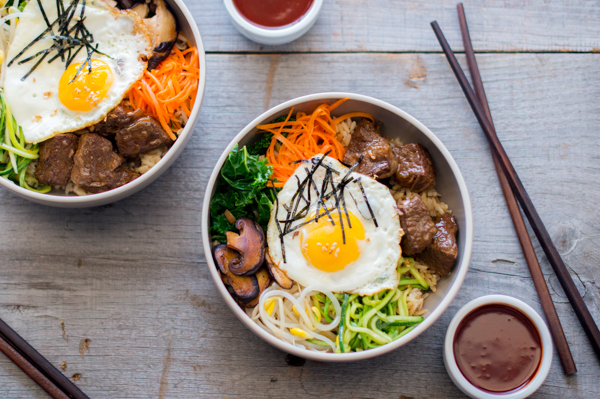 When KitchenAid reached out to me and asked for a KitchenAid® slow cooker Bibimbap recipe, I was both excited and intrigued. Excited that they were asking me for a Korean food recipe and intrigued because now I had the opportunity to really explore beef!